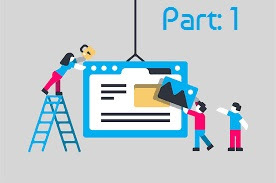 I am back with my new and interesting series "Building a website, free and paid". First of all, I want to tell you the major differences between a website and a blog. A website is like a page on the internet in which posts not regularly updated but the given information may be regularly published. A website's homepage may contain content or iframes from the internal part of the website. A website contains a pages like Contact Us page to get useful information from the usres of the page to make their conduct better. A blog is a term given to a website, where posts of a common niche are published every now and then. A blog's homepage contains the popular posts of the blog by the author of the blog. You can check also the homepage of this blog. A blog does not contain such pages but may contain pages like: About Me (or, About the Author or similar pages), Site map, Archive(post informations), etc. A blog does not contain such page(Contact page) but may consists of comment section. Now, I would like to explain you about a "domain name". A domain name is the name of the URL of a web page from where the whole data stored on the web server of that URL. It is the location of a website or a blog where the users visit to get information about some data for which, the website is made. It is the name that we type in the address bar of the search engine we use. To make it more clear, I would use the slang term, the name that starts with www. prefix is called a domain name. However, it may be noted that it is the choice of the owner of the site that he wants the www. prefix before the name of his domain. Now, the next thing to understand is the term "web hosting". A web hosting is the space where we can edit, organise, and upload a file to be displayed on the domain you have. A web host can be described as the service provider who provides us with the all the thing we need to make a website. SUMMARY: A website and blog are two different things. A website is a webpage that contains information about a company who owns that website. A website's data is not regularly updated but it is made sure that the data is up to date. A blog is a website whos data is regularly updated and reviewed to better the useer experience. A blog's homepage has a list of the popular posts of that blog. A blog generally also has a comment section at the end of its each post as my blog has. It is the URL(Uniform Resource Locator) of a web page(It can be a blog or a website). It genrally starts with a www. prefix. However, it is the wish of the site owner if he wants that or not. It is provided by a web host. Some provide it freely, some are paid. 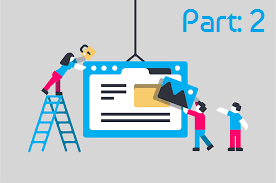 The next post (BUILDING A WEBSITE, FREE AND PAID(PART - 2)) will be coming soon. Thank you for sharing such informative, useful and helpful knowledge! This gave me some insights to do better. I would really love to see more updates from you. I will be adding new posts soon. I am a bit busy these days so thats why i couldn't post posts. The upcoming posts will be about the part 2, it will be very interesting.